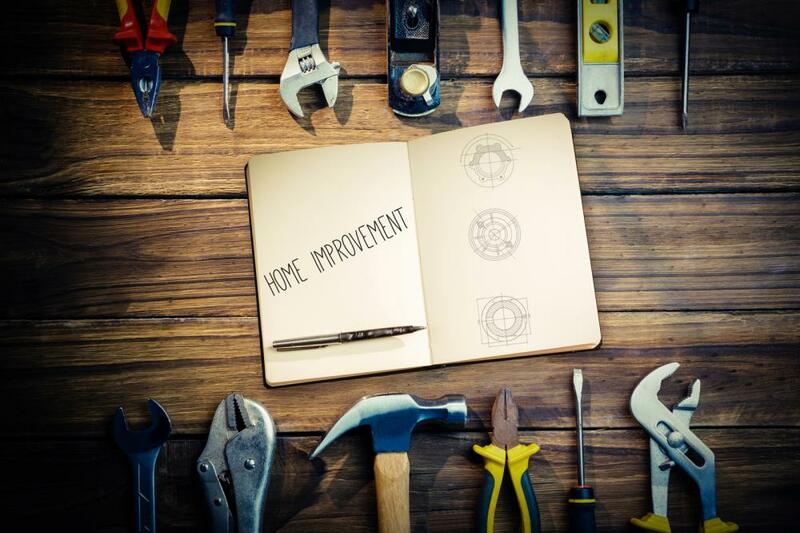 Cold weather might have you stuck inside, but that doesn’t mean that you need to be stuck in a home improvement rut. The beginning of the year is the perfect time to be productive and get to planning for possible home projects in the coming year. Make one of your New Year’s resolutions to take stock in what upgrades might benefit your comfort as well as bump up your property value. Although it may be freezing outside and you’re unable to do any landscaping until spring, you can still start planning now. The front yard is often something that many homeowners overlook, unless they have a green thumb or are in the process of selling their home. While adding some curb appeal to your home will definitely sell your home quicker and at a higher price, many of these landscaping tasks are about maintenance and beautifying–something you’d probably like anyway. Additionally, landscaping takes some planning and foresight. Most perennials need to be planted right away in the spring, so do some research and be prepared for spring. Check out your attic’s insulation. You can hire a professional to take a look, or you can venture up there yourself. Check out the insulation institute’s recommendations for attic insulation. If your home is poorly insulated, you might be losing right around 30% of your home’s heat directly through the roof! Adding insulation is something you can do yourself–it might not be the most fun weekend of your year, but it will be well worth it to know that you’ve made an energy efficient upgrade and are constantly saving money on heat. Or, if you don’t want to tackle that project on your own, you can call the experts here at Home Solutions of Iowa and discuss options for insulation with us. Here’s another DIY project that will make you a happier home dweller: do living area upgrades. If your home was built (or renovated) before 1980, you might have some unpopular features, such as popcorn ceilings or wood paneling. Both of these are relatively simple to remove if you have the right tools. But before you get after your popcorn ceilings, you’ll want to make sure that you don’t have any asbestos. Don’t have any outdated living area features? Think about a fresh coat of paint. Paint can really change the mood in any room and make it feel new. Bathrooms ideally should be bright and clean. Unfortunately, if a bathroom needs a little work, it can easily look dingy and dirty–even if it’s clean! There are some simple upgrades that can be done to make your bathroom look much better. For example, regrouting your tile in the shower will help a dirty-looking shower look new again. New light fixtures, mirror/medicine cabinet, or vanity will definitely make your final bathroom project worth it. Everyone knows that the kitchen is the heart of the home. Make your kitchen a place you really want to be with some simple-ish DIY projects. Think about switching out your existing light fixture or faucet for newer models. If you don’t have a backsplash, add one! Backsplashes are beautiful, functional, and not hard too hard to install. This is definitely something that you could finish in a weekend. If you have a little more money you’re willing to spend, think about new cabinets. New cabinets really give your kitchen a facelift and change the feel of the space. Roll up your sleeve and get to work! We’d be remiss if we didn’t mention gutters. Sure, there’s nothing flashy about getting new gutters, but gutters are a major home essential that will keep your home safe maintained for years. Check out our maintenance-free LeafGuard® gutters and never climb a ladder to clean a gutter again. You’ll have peace of mind knowing that you have highly functional gutters, plus you can cross “clean the gutters” off your honey-do list forever!